Honey & The Moon has the subtly sweet scent of Honey, Sugared Violet, Jasmine & Sandalwood. Honey & Flowers - Gorgeous!! This hand cream smells delightful! 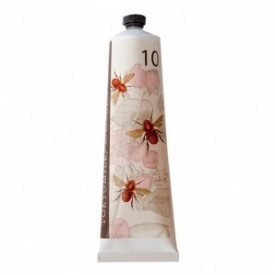 I was given two of these hand creams for Christmas and I have to say they are rather indulgent! 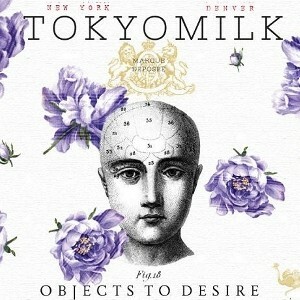 The Tokyo Milk range is based on its unique and appealing fragrances and Honey & Moon version is gorgeous! The cream has a medium thick consistency and is shea butter based and has a gorgeous fragrance honey, sugared violet, jasmine and sandalwood. You can really smell the honey element and the jasmine, violet and sandalwood give it an exotic edge. 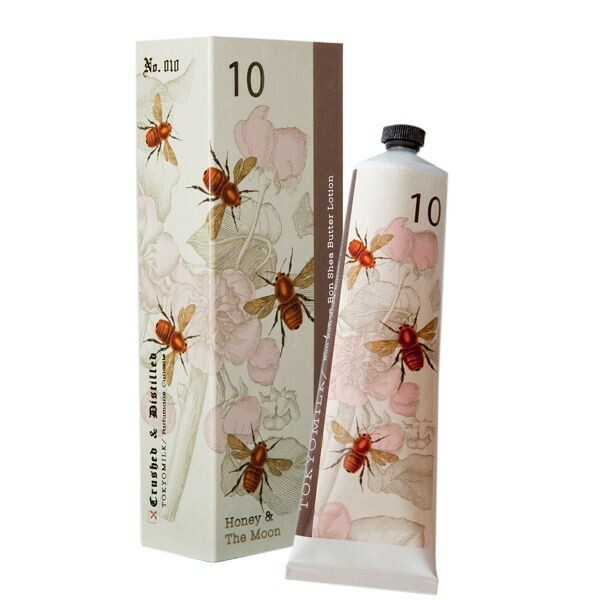 The cream comes in a beautiful bees and blossom design soft squeeze tube making the product easy to dispense. The cream absorbs rapidly into the hands and does not leave a greasy or sticky residue. After use your hands feel soft, supple and delicately fragranced. The moisturisation is excellent and the effect lats for hours without the need for re-application. So many people have stolen a squeeze of this hand cream from me my tube has disappeared rather rapidly! It is well commented on and admired. These creams are not cheap and I would re-purchase if there was an offer but if you are in the position to spoil yourself I would highly recommend. Gorgeous shea butter hand cream with thick consistency and delicate fragrance of honey, sugared violet, jasmine and sandalwood. Contains Japanese green tea, mimosa bark and dandelion for detoxifying and moisture attraction. Deeply moisturising and long lasting. Attractive soft squeeze tube packaging and bees and blossom design. "This hand cream smells delightful! I was given two of these hand creams for Christmas and I have to say they are rather indulgent! The..."